Incorporating the technology in the digital transformation of restaurants is going to affect global elements, the appearance in detail. An example of this is the following video entitled “The Little Chef”, A pilot project 3D animation on the tablecloth from a table in a restaurant, made by the company Skull Mapping. I can think of many uses, but maybe, the most relevant, which it is seen in the video, Diner entertainment while the cook is preparing the dishes requested, with a special mention of children, certainly, You can enjoy a lot of these films. 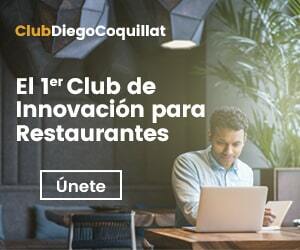 It seems that resources can be innovative 3D elements in restaurants, since they have a very striking visual effect, as it was demonstrated in the article published under the title The world's only restaurant with a menu retro 3D View Master. Here's another video where you can see a menu that combines augmented reality and 3D effects. 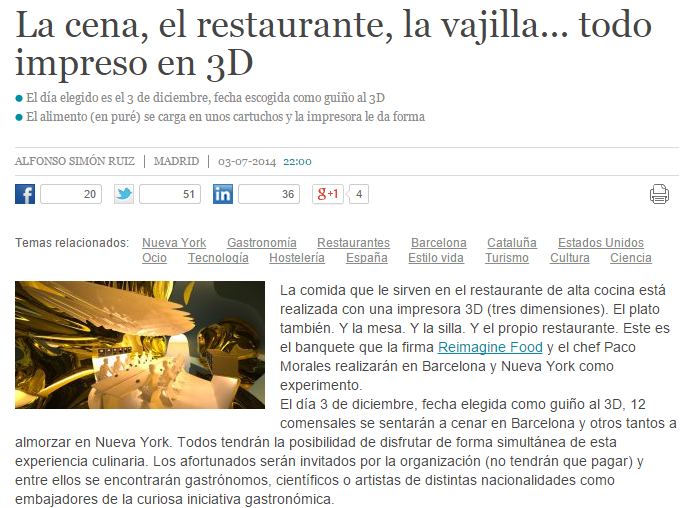 But eye, are not only visual effects, as you can see in the following news, the Spanish company Reimagine Food, It proposes a first restaurant where all the elements are made with 3D printers, It is a project to be launched soon Barcelona and New York.